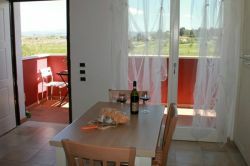 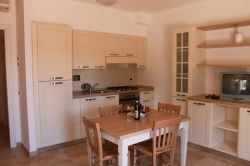 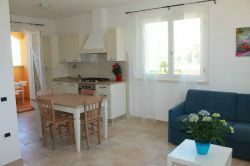 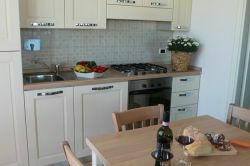 ABA Village, only 500 m from the seaside and near to the most beautiful beaches of the Maremma Tuscany. 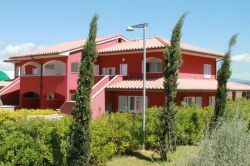 There are 27 well-kept holiday apartments of different size available (1-roomed flats, 2-roomed flats and 3-roomed flats) each with own outside space inside of charming small and coloured country villas. 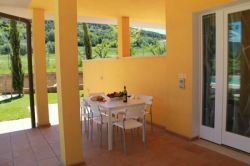 The apartments are equipped with every modern comfort such as air conditioning, heating, completely equipped kitchen with oven, fridge and freezer, private bathroom, TV. 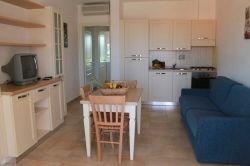 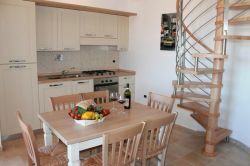 In the center of the villas, the swimmingpool, open from mid May until end October.